And if you didn’t think that was an issue, let me introduce you to Performix TCP–the premade manufactured nootropic stack that does have balls. Lots of balls, branded as TERRA beads. Which are, like, supposed to good or something, according to TCP’s manufacturers. I know what you’re thinking: Where do these chauvinist A-holes get off?? Frankly, I’m thinking the same thing, but before we cast any stones, let’s check out the review on TCP’s ballsy formula. 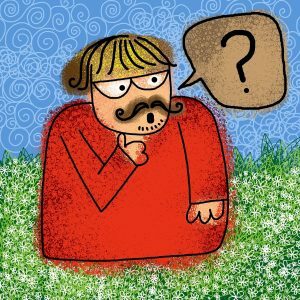 Conclusion: Does Performix TCP Work? The emphasis on Time-Release is established on Performix’s super cool (albeit unproven) TERRA Bead Technology design. Despite Performix TCP’s well-chosen ingredients, the formula is hindered by another common Performix feature: The proprietary blend. Suggested Use: As a dietary supplement, adults take 1 Serving [2 Capsules] each morning as needed for maximum mental performance. Please read the entire label before use. Medium Chain Triglycerides – MCT ingredients are great for brain health, demonstrating increases on cognition in otherwise decreased or damaged states of brain function, but for healthy individuals? Nahh, MCT won’t do much other than gift you feelings of self-satisfaction for being a healthy mf. Caffeine Anhydrous, 175 mg – Not too thrilled to see caffeine in this proprietary blend, but at least Performix reveals its dosage at a reasonable 175 mg. Although this is a sizable chunk out of the total 1,165 mg allotted to the ingredients. More on Caffeine. Theanine – This green tea amino acid is a great complement to caffeine for its relaxing boosts on alpha brain waves, in effect eliminating the “jitters” of caffeine without compromising the drug’s boosts on focus. More on L-Theanine. Theacrine (as Teacrine®) – I’ve been seeing this compound (and the Teacrine brand) in more & more nootropic stacks. Theoretically, it’s not a bad addition to caffeine for it’s caffeine-like structure, as it may help to evenly distribute the absorption of caffeine. 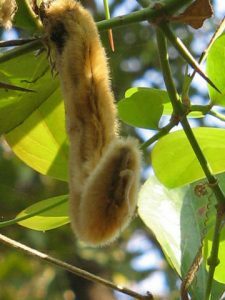 Huperzia serrata extract (Std. 1% Huperzine) – Potent bioactivity in tiny doses. Hup-A is always a smart addition to a nootropic stack, complementing acetylcholine enhancers (see below) with its inhibition of acetylcholinesterase, an enzyme that catalyzes the breakdown of neurotransmitter acetylcholine. More on Huperzine-A. Ashwagandha (as Sensoril®) (Std. 8% Withanolides) – Rhodiola is more of my jam when it comes to adaptogens, but Ashwagandha is still great, especially in this Sensoril branded extract. Believed to enhance physical & cognitive performance (with a little bit of sexual, too). More on Ashwagandha. Mucuna pruriens extract (Std. 40% L-Dopa) – Velvet bean is a potent natural source of L-Dopa, the precursor to dopamine. May induce positive changes on cortisol, growth hormone, & testosterone as well. Citicoline (as Citicoline®) – Awesome nootropic source of choline & cytidine, of which the latter converts to uridine, another awesome nootropic on its own. Helps all-around brain function for clearer, energized thinking. More on Citicoline. Bacopa monnieri extract (Std. 20% Bacosides) – Ayurveda adaptogenic herb demonstrated to enhance cognition, learning, & memory. Requires long-term supplementation to reach peak effect & benefits. More on Bacopa. Alpha-glycerophosphocholine – Alpha-GPC actually supplies more choline per serving than Citicoline, delivering even more choline to the brain for higher numbers of acetylcholine & phosphatidylcholine. More on Alpha-GPC. Gradual release of the formula to maximize overall ingredient performance over time. Stimulation brought by caffeine & theacrine, accompanied by theanine. Brainpower promoted by citicoline, bacopa, alpha-GPC, & hup-A. The result being quick boosts on mental focus, supported by long-term neurotransmitter enhancement–the latter of which is further supported by adaptogenic Ashwagandha (for anti-stress benefits) and L-Dopa (for feel-good dopamine). Even so, I’m not too thrilled by the proprietary blend masking, especially for the formula’s overall weak dosage (1,165 mg). This allows for only short bursts of an otherwise awesome roster of nootropics. Performix TCP reads like a premium grade supplement, supplying premium grade ingredients in a premium grade patented design. Customer reviews agree. The mix of stimulation & brain healthy nootropics is smart, delivering most of the essentials for enhanced cognitive output & performance. Plain raw herbs are great if you can get your hands on them separately. But in pill products you’ll need enhanced extracts as demonstrated by Performix’s potent botanicals. The obvious con is the proprietary blend, a disappointing attribute to Performix’s professional product design. MCT (175+ mg) & caffeine (175 mg) take up a large portion of Performix’s proprietary blend dosage, despite possessing the least nootropic potential in the stack. If the TERRA bead tech actually makes a significant difference, then I’d have no complaints with Performix prices. But as it currently stands, TCP seems overpriced. The GNC & Bodybuilding market seems to be the target audience of this cognitive enhancer, given that those are the two vendors linked on Performix TCP’s website. Anyone down for a little caffeine in their nootropics may benefit by this product. Aside from GNC & Bodybuilding.com, Amazon also carries this product, as well as a number of other retailers, online & in-store. Or should I get TCBY instead? This is a product you’ll have to try to find out. What I can confidently claim about this formula: The caffeine will work and the other ingredients may work as well, if they’re sufficiently dosed. 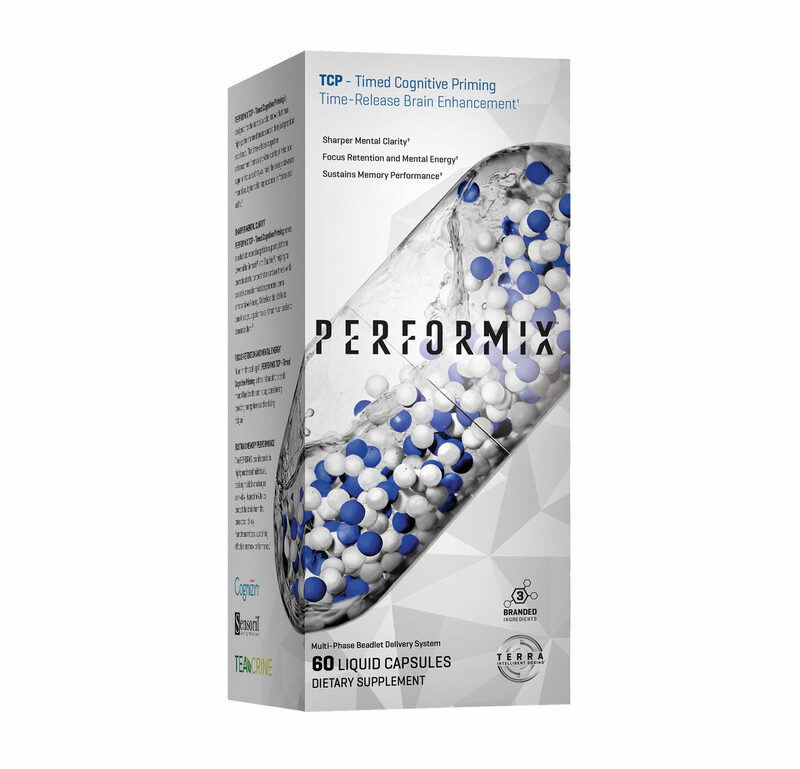 Performix TCP isn’t at fault for supplying any bad ingredients: For the most part, the cognitive enhancers are all on-point. Potentially made pointier by the TERRA bead tech that belongs to the Performix brand of supplements. But I’d like just one nootropic product, Performix–just ONE–that told me in sufficient detail what the hell is going on!